Maloneys Budgens is delighted to be teaming up once again with celebrity chef Giancarlo Caldesi to host their ninth seasonal lunch which will take place at Caldesi in Campagna, Bray on Friday 13th November at 12.30pm. This is a great partnership and an extremely popular event that showcases how ingredients from the store can be created into delicious dishes to be enjoyed by all the family. Giancarlo walks the Maloney’s Budgens stores in Ascot and devises an 8-course taster menu using many of the products available in-store. 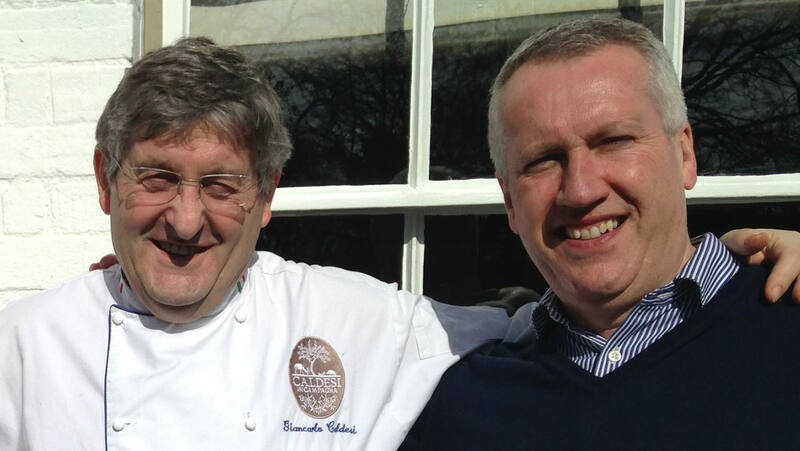 Vince and Dennis then donate the selected quality ingredients to enable Giancarlo and his team to serve a mouth-watering 8-course taster menu for an incredible £20 per head. To book your place on the Maloneys Caldesi lunch please call the restaurant on 01628 788500 – but do hurry as places are strictly limited and the event is very popular! Keep an eye on the website here where we will post the menu once Giancarlo has confirmed details.